"The final frontier." "The end of summer." "It was nice while it lasted." "August is like the Sunday of Summer" they say.... are you kidding me?? We’re only getting started! We have a jam-packed month ahead. The county calendar is bursting at the seems. The Rose of Tralee & Puck Fair: two of the oldest festivals in Ireland. While we won’t go as big as those, it would be rude for Dingle not to get in on the act! 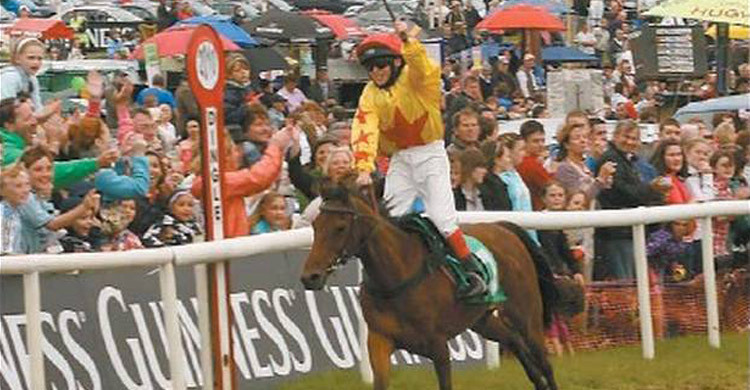 The Dingle Races will take place in Ballintaggart racecourse on the second weekend of August. Friday 10th, Saturday 11th and Sunday12th. 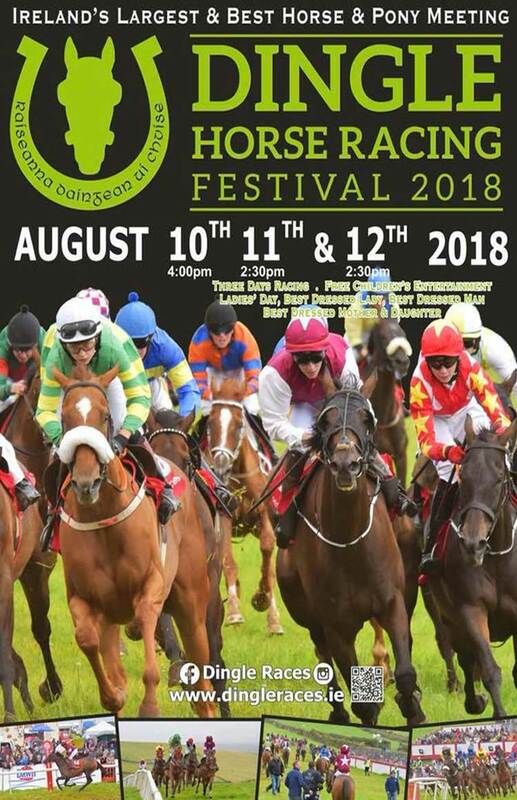 The Dingle Races 2018 poster. 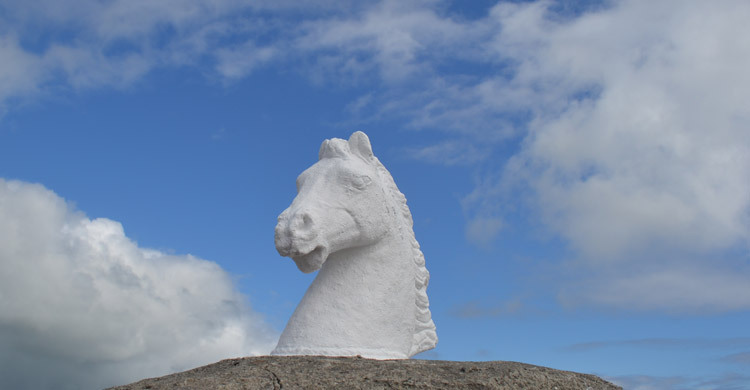 For those who are unfamiliar with this annual event, The Dingle Races is the summit of the Irish Horse & Pony circuit. Known as “flapper racing”, it is racing that operates outside the rules of the Turf Club, which is the sanctioned Irish HorseRacing Association who strongly disapprove of flapping, so much so that they penalise trainers, jockeys and horses found to be taking part in flapping! The Dingle Races have been running for over 100 years and certainly play their part in Irish racing. Numerous young jockeys have earned their stripes in meetings like Dingle and none more so than Dingle man Jack Kennedy. Jack Kennedy winning at The Dingle Races at the tender age of 11! The people of Dingle are fiercely proud of Jack, who will surely be our greatest export with time. But it’s the characters that the Races draw that makes them special. The magic of The Dingle Races will see our friends from all over Ireland and abroad return again, as they do every year like a pilgrimage. They first came because of their love of horses, but now they return because of their love of Dingle. Championship Football kicked off over the bank holiday weekend. Sky treated customers to 5 days of football starting on Friday 3rd. Reading hosted Derby in the opener but my interest will be firmly fixed on Sheffield United this year. 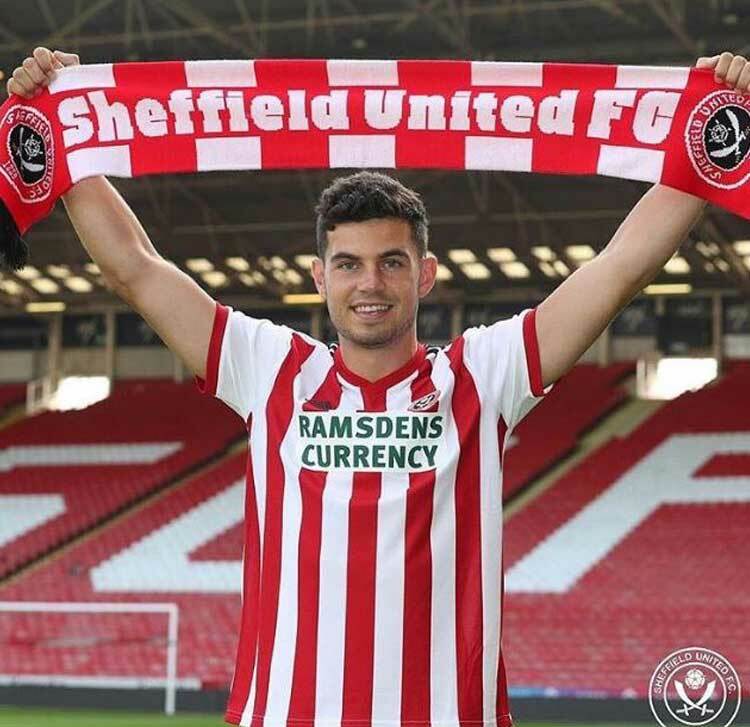 Kerry Legend John Egan’s seriously talented son, John, recently became the Blades’ record signing at £4,000,000. His career continues on an upward graph & it’s only a matter of time before he’s the mainstay in the centre of the Irish International defence. We’re all behind you in Kerry John! 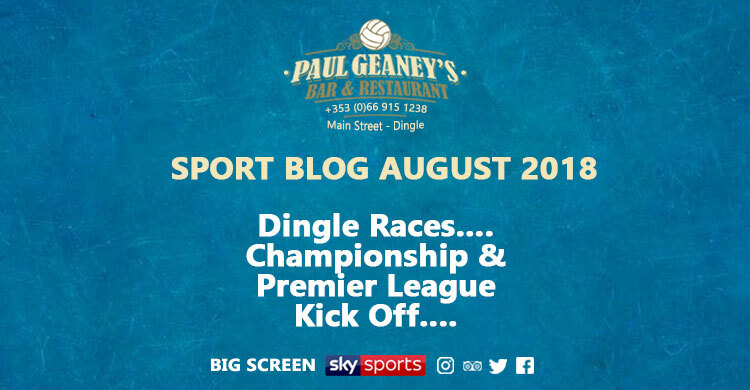 We have live championship on our TV’s Fridays right through to Wednesdays with our food and drinks, except GAA Sundays of course! We’re going to win the league, we’re going to win the league! Sing it with us…. (LFC fans) United fans you can scroll down to the next paragraph! Enter laughing face emoji here!! We’ve said it before but this time… this time it’s different! 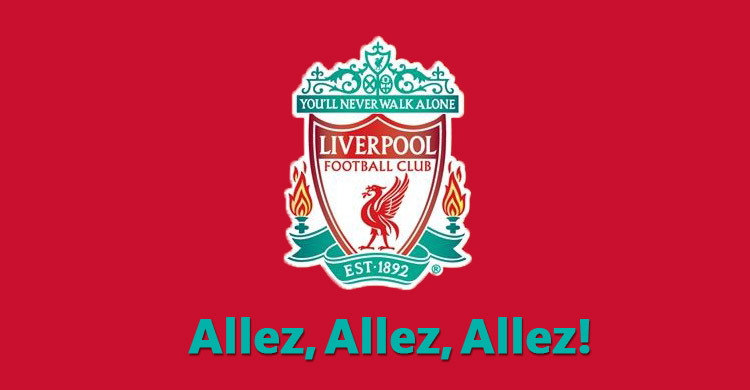 Defensively superior since the signing of Virgil van Dijk and bolstered by Nabi Keita and Allison Becker to ease the goalkeeping woes, I think we’re finally in position to challenge. Xherdan Shaqiri will prove to be an important signing. For those of you who play Fantasy Football you’ll recognise him as a top 5 point scorer for strikers! That’s in competition with Lukaku, Salah, Aguero and Harry Kane! Daniel Sturridge has returned to form this pre-season and looks as lean as he has ever been. If he avoids the plague of injuries he has had since the 13/14 season we’re in for a treat! So expect even more goals from Liverpool this season, and less concession! And a historic Quadruple. Too far? Sorry, I am a Liverpool fan, and we do hype awfully well! What is Mourinho up to? Elsewhere, Jose Mourinho seems to be having a mid-life crisis. I’d hate to be a United fan right now. They’re caught between two stools. They know what they are seeing isn’t good enough but they seem to be content with champions league and the odd result against top 6 opposition peppered with draws. I think the house of cards will fall all around Jose shortly and it’ll end the same way as all his jobs end, him disgruntled by the players not doing their job and no club backing…everyone else’s fault kind of job. More luck to him! Spurs have failed to add to their squad. While it’s still top class, it hasn’t been good enough the last couple seasons, so I can’t see a change this season. Chelsea and Arsenal will be interesting this season with new men at the helm, new vibes and a new direction. Arsenal for a top 4 finish. City are still the ones, though. Or is it that Pep is the One? They’ll win something, that’s a guarantee. But what will it be? Hopefully the League Cup! Who will win the 2018-2019 Premier League? Who do you think will win the league? Pop your vote in above..... Anyway, whichever way it goes though, we'll have all the big games LIVE! Call in, don’t miss out.... !